Data visualization software translates data and metrics into charts and graphs to help companies track business metrics and key performance indicators (KPIs) in real time so they can better understand performance and goals. Data visualization software allows users to create dashboards with scorecards and easy-to-interpret visualizations of company data to follow the trends and KPIs. Many data visualization tools provide drag-and-drop functionality and other non-technical capabilities, so the average business user can build necessary dashboards. However, some do offer the ability to create dashboards using code. Data visualization solutions can consume data from many sources, including file uploads, databases, and business applications. Connecting certain applications or databases may require some IT involvement or coding knowledge. These tools are specifically designed to benchmark and visualize important metrics and are not intended to be used for data analysis. While some data visualization products may offer drill-down or data joining functionality, their primary purpose is to provide dashboards and visualizations to monitor business-critical data. Users looking for analysis specific tools should look to business intelligence platforms and self-service business intelligence software. Data Visualization reviews by real, verified users. Find unbiased ratings on user satisfaction, features, and price based on the most reviews available anywhere. Chart Maker App is a visualization tool for creating printable charts. ChartURL offers a platform to add rich, data-driven charts to your web apps, mobile apps, and emails. Charty enables users to create interactive charts without single line of code. 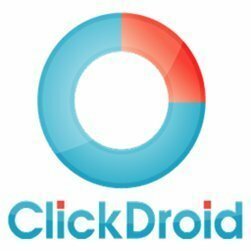 ClickDroid is an allinone business dashboard app that helps you easily monitor all your business data from one place. Cogent DataHub provide data connectivity, integration, and visualization for industrial automation to virtually connect. Dashman is the ultimate dashboard manager for the office that helps to make all your dashboard apps ubiquitous and secure. Dashboards built for your business. No coding or technical knowledge required. View your most important data on a single screen. Unlimited Users, over 100 Standard software integrations. Dashzen is a free, web-based dashboards software. Share knowledge & info through all layers of your company via 1 interactive & user friendly infoscreen. Dataccuity helps you consolidate data from all of your tools, applications, and databases. It provides customized data solutions for users. Visualizations allow users to see data in a simple way. DataCopia offers data visualization solutions to create charts and graphs online. DataEdge, powered by the Vivid Data Engine, opens the door to easily access data query and report builder capabilities, as well as dashboards and insights. Its delivered via the convenient user experience of Vantiv iQ, available anywhere you are to assure you have the data you need when you need it. Editable data visualizations for the web. Easily pick a data visualization template, customize it and publish on your website. Dataseed is a data visualisation SaaS product created by Atchai. Weve made it simpler than ever to create beautiful, interactive data visualisations. In five minutes you can turn spreadsheets into valuable business insights. A free service is available for open data publishers, along with paid subscriptions for commercial use. Decision Critical is a dynamic, cloud-based business modeling tool that is unique in its comprehensiveness. It is scalable, customizable and fast to implement. Success starts with your data. Understanding your data is the first step to making more informed decisions. Docube helps to visualize data, share insights and delight your customers with visuals which speak your story. Douply is an online reporting tool for agencies. dxFeed Bookmap is an innovative data visualization tool and offers an advanced interface to monitor the dynamics of Depth of Market (DOM) and the evolution of the order book. dxFeed Bookmap provides its users a clear and transparent view of the market, empowering them to make better decisions with new information. At the core of dxFeed Bookmap is the Order-Book Heat-Map. This powerful tool provides the user a clear visualization of the dynamics of market depth. Dynistics specializes in providing graphical dashboard reporting tools designed to allow organisations to monitor, analyse and improve operational performance. EasyMorph is optimized for non-technical users that would like to reduce their dependency on corporate IT departments, and spend less time on tedious data-related tasks. eazyBI provides easytouse draganddrop creation of reports, charts and dashboards. Analyze imported data measures by any dimension, identify trends and top/bottom performers, start from summary overview and drill into details. Create pivot table reports or many different chart types. Publish created reports and charts in summary dashboards. KPI Dashboards provides at-a-glance metrics to clinical, financial and operational decision makers to help you determine if your organization is moving in the right direction to achieve organizational goals. A blazing fast enterprise indexing and search platform from Everteam essential for big data. Makes it simple for ordinary people to find, discover, analyze and share extraordinary information. FastStats Excelsior™ allows you to build custom reports configured to your business needs, and share the results with your colleagues. Because FastStats Excelsior™ unites Excel and Apteco FastStats®, the resulting reports are even more powerful than either tool used alone. FliQ is a modular production process management and data visualization platform for manufacturing and assembling industries. Formidable Victory is an open source tool that provides React.js components for modular charting and data visualization. Foundation Maps is a data visualization tool, designed to provide valuable insights on global funding for funders, philanthropy networks, consultants to foundations, and other nonprofits. Genview3d is a business decision making software with 3d data visualization, real-time KPIs and big data management. GX LEAF is a cloud solution used to analyze raw data and identify trends through visual representation of key performance indicators. HappyMetrix let's you create data dashboards with all your key metrics. In just a few simple steps you can create a stunning dashboard by adding a couple of easytouse data widgets. Or create a dashboard instantly by selecting one of our dashboard templates. Ideal Analytics is a self-service data analysis and visualization tool available both in the on-cloud and on-premise model. This is a web based tool that can be accessed across PCs, tablets and mobile. It can connect to data coming in from heterogeneuos sources through its ready connectors and gives the users a unified analysis platform. Image Charts dynamically generate charts with URL string. Indigo DRS features a powerful Report Designer using Indigo DRS RDL (Report Description Language) with advanced reporting capabilities complex Data can be presented in a visual and meaningful format. The report designer can quickly create advanced business reports rich in content. Tables and Charts can be added to the report effortlessly allowing complex data to be presented with the minimum of effort. Versatile dashboard that allows chart building. InfoCaptor allows for data upload from multiple sources.There are multiple visualization options and a drag and drop tool for developing dashboards. Infogix Perceive automatically extracts data from Infogix Assure, Infogix ACR, and Infogix ER, allowing you to render and deliver customized and adhoc reports that glean insights into what is working. Insight Rocket offers analytics publishing portal for Tableau. Why Use Data Visualization Software? Who Uses Data Visualization Software? Data visualization software is a basic analytics tool for business users to easily consume and interpret data, key performance indicators (KPIs), and other critical metrics with the use of dashboards. These dashboards can pull data from a number of sources, including databases and spreadsheets, and other applications, such as CRM systems and digital analytics tools. Users can build a variety of visuals based on the data sets to easily track and measure important metrics. Such chart types include column charts, bar charts, pie charts, line graphs, tables, general tracking meters, maps for geographical data, and even just raw numbers. Data visualization tools are the most simplistic in the business intelligence category of software. They are built to display data in one central location instead of forcing employees to dig through different solutions to find important metrics. Business intelligence platforms, self-service business intelligence software, and embedded business intelligence software all contain more in-depth analytics features, such as drill downs, and are most often used by analysts or data scientists. But for companies interested in displaying visual analytics dashboards, data visualization tools are the proper applications. Setting up and implementing data visualization tools are relatively straightforward compared to implementing other business intelligence tools. It may require a bit of development knowledge to connect the product to a database or third-party application. However, if a non-developer is interested in building a visualization using a spreadsheet, implementation is basic. The main reason for using data visualization is to track real-time data, metrics, goals, and KPIs. Businesses frequently set goals very high, so tracking each metric as teams and companies progress is important. By displaying data visualizations of each KPI, businesses can reinforce the importance of these goals and even help prioritize work based on which metrics need the most attention. General business metrics may include web traffic, revenue, and customer acquisition, among others. With data visualizations products, it is easy to pull those business metrics from data sources such as digital analytics and CRMs, so that employees do not need to find them on their own. Outside of this initial benefit to using data visualization software, another advantage is that data visualization tools help users easily understand critical business data. By using data visualization solutions, employees and businesses can easily interpret data. It makes the purpose of the information very evident for all users. If employees can understand the business data, then they can align around long-term goals and improve overall company growth. Critical business data is different among every company and industry, so allowing for extensive customization is beneficial. There is no one-size-fits-all business dashboard; therefore, pulling data in from a variety of sources is useful and necessary. When new employees start, it is helpful to understand said critical business data, and with the help of data visualization tools, that understanding is simplified. Data visualization software also allows users to quickly and easily identify trends in business metrics. If certain metrics are not on pace to hit month-end, quarter-end, or year-end goals, companies can see that up front with data visualization tools. Based on how KPIs are tracking, businesses can adjust their strategies and methods for attaining goals. Being able to react to data is an important overall strategy for greater business modernization and digital transformation. C-level executives – C-suite employees utilize data visualization tools as KPI dashboards to keep a holistic view of all company goals and how they are progressing. Instead of needing to check in with every team, or dig into disparate software for each KPI, a CEO can track all company metrics in one location. If a CFO wants to observe all financial metrics, data visualization is an option instead of needing to go through accounting and CRM products to find necessary information. Additionally, C-level executives may take dashboards into board meetings to help illustrate how the company is performing as a whole. Sales teams – There are many use cases for sales teams when it comes to data visualization solutions, and not just to track revenue numbers or how many deals they have closed. Business development teams often connect sales acceleration tools as a data source to track how many calls each rep is making or how many meetings they are setting up. Sales managers can track individual account representatives’ performances to see how much revenue and deals each of their employees are closing, and how much they have in the pipeline. They may also set goals and determine how they are tracking on a quarterly or yearly progression. Displaying personal metrics with data visualization tools is one method to help motivate sales employees to hit their quotas. Marketing teams – For marketers, data visualization solutions are ideal for recording real-time data when it comes to customer and prospect interactions. Users are able to pull specific digital analytics metrics, such as web traffic, and easily visualize progress. Additionally, marketers can see how email campaigns or advertising campaigns are progressing, whether that be open rates or how many impressions Facebook, Twitter, and other social advertisements campaigns are receiving. Businesses benefit by quickly visualizing conversion rates and cost-per-customer acquisition, among many other key marketing metrics. Customer service teams – There are a variety of different instances where data visualization software is helpful for customer support teams, whether they be in a contact center or receiving customer inquiries via a help desk, among other scenarios. Representatives at call centers can visualize the number of calls they have taken that day, how many calls are waiting to be answered, and how long the average call has been, among many other business-critical data points. For support teams that use a help desk, users benefit from data visualization by tracking how many tickets they have resolved and how many are still in their queues. Customer success teams may choose to measure KPIs such as customer retention or churn rates to ensure they are maintaining the appropriate number of customers. Human resources teams – Data is aplenty for recruiters and human resources professionals, so having a single dashboard to display the information is advantageous. Recruiting coordinators can track how many applications have been submitted for specific roles or monitor how many times the career page has been viewed. Other general human resources professionals use it to display employee engagement, whether that is an overall satisfaction of work life within a company or a gamification of certain tasks. Even third-party services such as Glassdoor may be a data source for businesses interested in tracking their rating at all times. Development teams – If a business is responsible for running multiple applications and needs to track performance in real time, data visualization tools are an excellent way to keep tabs on all of them simultaneously. This allows development teams to react to potential bugs or issues quickly and ensure that performance is trending in the correct direction. Some data sources valuable to development teams include databases, public cloud infrastructure as a service offerings, and application performance monitoring software. While data visualization software might seem fairly straightforward, there are some features that impact the user experience with these tools. The main feature, and often most critical component buyers should look for when purchasing data visualization software, is which data sources the tool can integrate with and pull from. Most solutions can pull from SaaS applications, cloud and on-premise databases, and even solutions built in-house. But, if one of the main reasons for a company purchasing a data visualization software is to track marketing campaigns, but the tool cannot integrate with the marketing automation tool the business is already using, then it defeats the purpose. Tracking real-time data is another important feature of data visualization software. Being able to observe progress and trends in a business’ KPIs in real time ensures that employees can react and improve on strategies and methods. Mobile functionality is often offered by data visualization vendors, so users can observe and track business metrics regardless of their physical location. In today’s business world, employees are often on the go, so the ability to see dashboards from mobile phones or tablets is convenient. This is important for C-level employees who might not always be in the office. The ability to share dashboards is another important feature of data visualization software. If a sales leader needs to send numbers to a company’s board of directors, easily emailing an entire dashboard is quick and easy. It is also beneficial to be able to share metrics internally with teams via email, if employees are unaware of how metrics are progressing. There are some data visualization solutions that are targeted at specific industries or teams within a company, making them more unique than general data visualization software. A marketing team may opt to use a marketing analytics solution, since they only want to visualize and track progress for specific marketing metrics. There are also sales analytics tools that only track sales metrics. Additionally, many software products have some type of data visualization within them. For example, a CRM or help desk tool might have data visualization features, but they differ in the sense that these are simply features, not the main function of the product. For business users interested in advanced analytics tools that contain more robust features, business intelligence tools are a step up from data visualization. Business intelligence platforms are most often utilized by data analysts or data scientists. These platforms often require a good amount of coding or query language knowledge to access necessary data and transform it into visualizations. Self-service business intelligence solutions are aimed more at roles outside of analyst or data scientist, and allow users to perform analysis without a deeper knowledge of the back end. Embedded business intelligence solutions may have self-service aspects, but these solutions embed the business intelligence capabilities within a third-party application. The difference between business intelligence products and data visualization tools is that you can perform drill downs and dig further into the data, right there in the business intelligence product with interactive data visualizations. Business intelligence tools focus more on exploratory data representations than just the raw data or metrics. Data visualization software is really just to see goals and track metric progress, not to dig into the data further and conduct deeper analysis. For businesses that need consume large data sets, big data analytics solutions may be the best option. These products pull mostly unstructured data from big data processing and distribution systems, such as Hadoop, before putting them into big data analytics tools. These products require heavy development knowledge and are mostly utilized by data scientists at larger companies.